The VIGO 4-in. 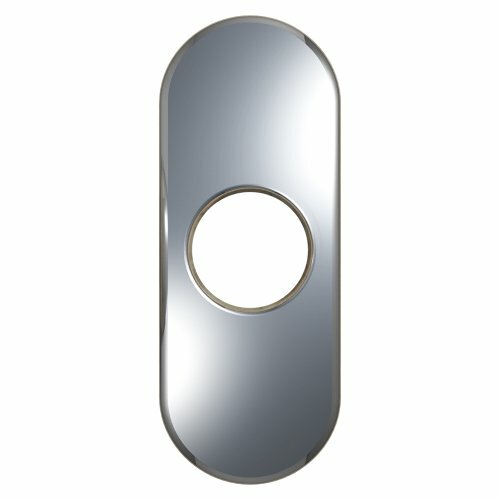 Bathroom Deck Plate/Escutcheon is a simple and practical solution to installing new single-hole faucets into existing three-hole setups. Constructed of zinc, the 4-in. deck plate resist scratches, corrosion and tarnishing. Easy installation with mounting hardware included. Choose from three finishes to match your VIGO bathroom faucet and create a complete look. Length: 5.5-in., Width: 2.125-in., Depth: .375-in.